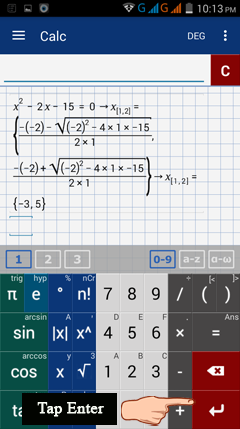 In some cases, an expression or equation may be used and evaluated for more than one value as a dependent or independent variable. 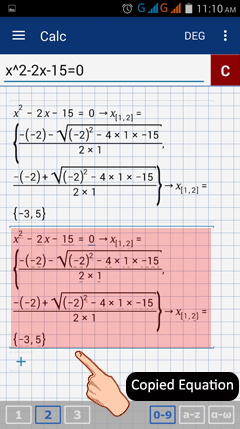 In addition, one problem may require multiple steps before arriving at a solution. In this case, the clear, copy, and paste commands are useful. 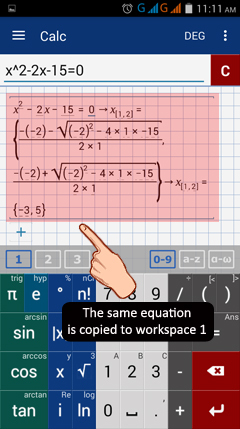 Instead of editing the same equation to input a new value, you may copy the equation and paste it into another workspace area or another row, allowing you to see and compare both solutions to the same equation simultaneously. 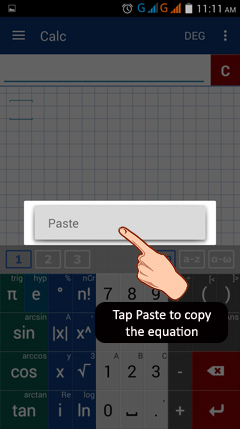 1) Tap and hold the input field of the window containing the expression to be copied until the options "clear, copy and paste" appear on the screen. 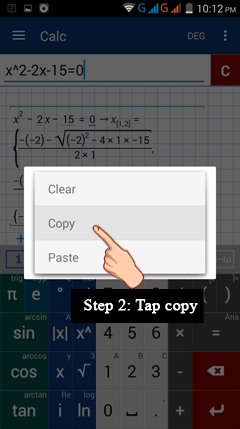 2) Tap "copy" to copy the expression. 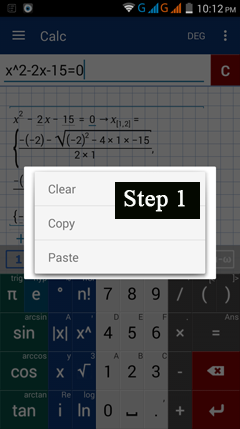 3) Hit the enter key if you want to copy the workings onto the same workspace. 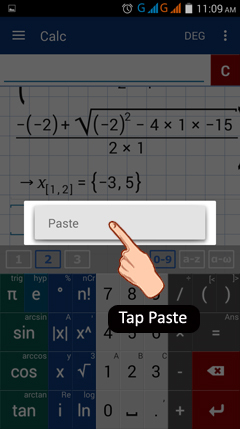 4) Tap and hold the cleared input field to see the "paste" option. 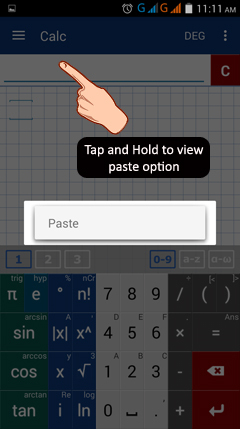 Note: You can also paste the expression onto a separate workspace. 1) Open a new workspace where the copied work will be pasted. 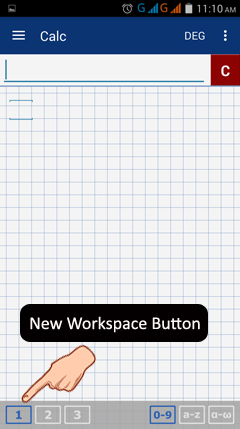 2) Tap the input field of the new workspace area and hold until "paste" appears as an option..